Amazon, which recently started an offer to deliver packages inside people's homes, now offers to deliver inside people's cars. 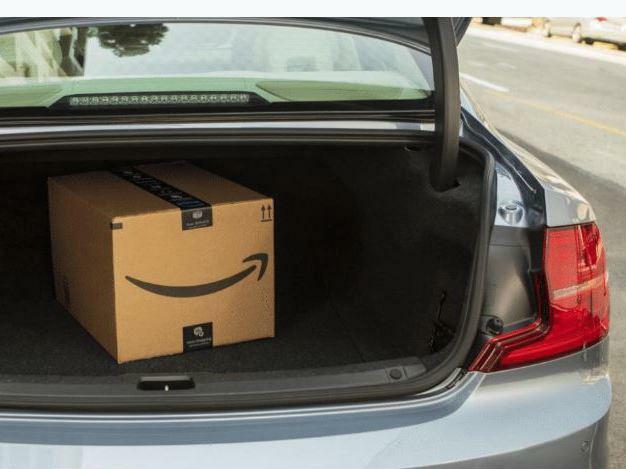 Amazon is expanding its in-home delivery service called Key to include deliveries to trunks and back seats of cars. The service is available only to Amazon Prime members in 37 cities who have a 2015 or newer Chevrolet, Buick, GMC, Cadillac or Volvo with an active OnStar or Volvo On Call account. Essentially, these are already connected cars that can be remotely unlocked — in this case for package delivery, which Amazon promises within a four-hour window. The shopper has to confirm that they've parked within range of the delivery location — in a publicly accessible area — and can track the progress through the Amazon Key app. Amazon has devoted much effort to figuring out how to stop its packages from being stolen from porches and public spaces, which is costing the company a pretty penny. With in-car service, Amazon can use shoppers' cars as secure mail drop boxes. This is also the extension of Amazon's ongoing effort to come up with new ways to lure customers into its universe with convenience and speed. Early on, it was free two-day shipping for people who pay a monthly or yearly Prime subscription. Then came Internet-connected buttons that auto-order a specific item and shopping via voice commands to a smart home device. Now, it's remotely controlled, app-connected locks on houses and cars to let couriers inside. In February, Amazon bought Ring, a smart-doorbell maker that can stream audio and video a phone, which followed the launch of the company's own Internet-connected home security camera called Cloud Cam. Amazon has pitched the camera and its Amazon Key app for use not just for in-home deliveries, but also keyless entry for a growing number of home-service providers that can be hired through Amazon, such as dog walkers and house cleaners. Most of the special services appeal to Prime subscribers, a membership service that typically costs $99 a year in the U.S. — one that Amazon is aggressively growing. Last week, for the first time, CEO Jeff Bezos disclosed that the number of Prime subscribers topped 100 million. General Motors' OnStar and Volvo On Call are also subscription services, which tend to come with some free-of-charge periods but can run up to $350 a year.